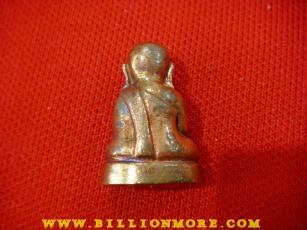 Good amulet of 2,600 years of Buddhism, let’s worship now! 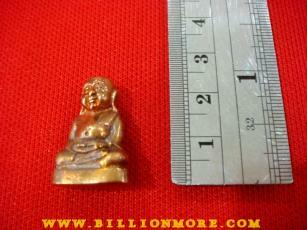 Ceremony: LP Phat Ariyo intensively blessed this amulet by himself at Wat Na ThaWee in 2012. Power: Phra Sangkajjai is one of Buddha’s disciples who witty and powerful. 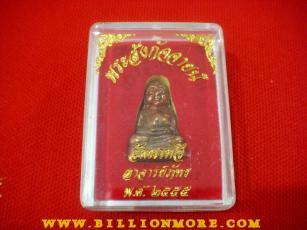 People believe that Phra Sangkajjai is the god of wealth and plenty. To worship Phra Sangkajjai will bring the worshipper wealth, plenty, good luck and good wit. LP Phat Ariyo or people call him “Phra Sam Ta” is a present abbot of Wat Na ThaWee in Songkhla Province. He is very famous now. LP Phat Ariyo was born on the 20th September 1966 in Phatthalung Province. He got ordained as a novice when he was 13 at Wat Pring, Songkhla Province. He was a novice there until he was 20. At the age of 20, he got ordained as a monk at the same temple. 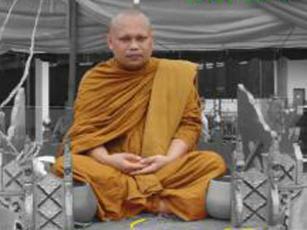 In 1993, he became an abbot of Wat Na ThaWee. At the time, he wanted to practice meditation intensively. Firstly, he thought to go on a pilgrimage in the northeastern region. Then he found the northeastern people village where is 15 km far from Wat Na ThaWee. Thus, he decided to have a pilgrimage here. People in the village brought food to him every day. He appreciated what people did for him very much. That made him practice meditation more intensively until he succeeded in meditation. Then he came back to Wat Na ThaWee. LP Phat Ariyo can tell the future because he has strong mind power. Thus many people visit him every day. His ability to tell the future is known by many people in other countries such as Malaysia, Singapore, Brunei, Indonesia, etc. Because eyes can make people see things, it is why people call him “Phra Sam Ta” (a monk who has three eyes). That means a monk who has the third eye for seeing the future. Some people have amazing experience of his powerful amulets such as some people survived serious accidents and so on. 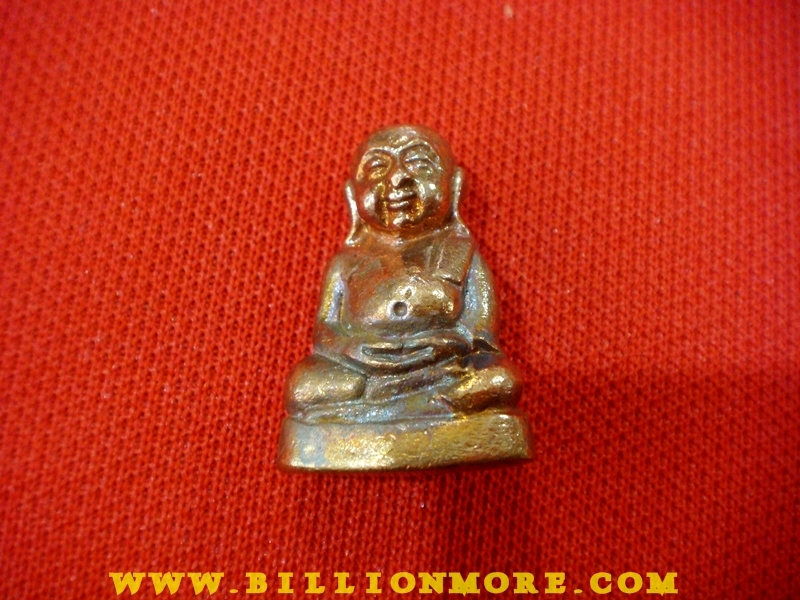 LP Phat Ariyo also teaches people dharma of Buddha in order to be the good way to live.